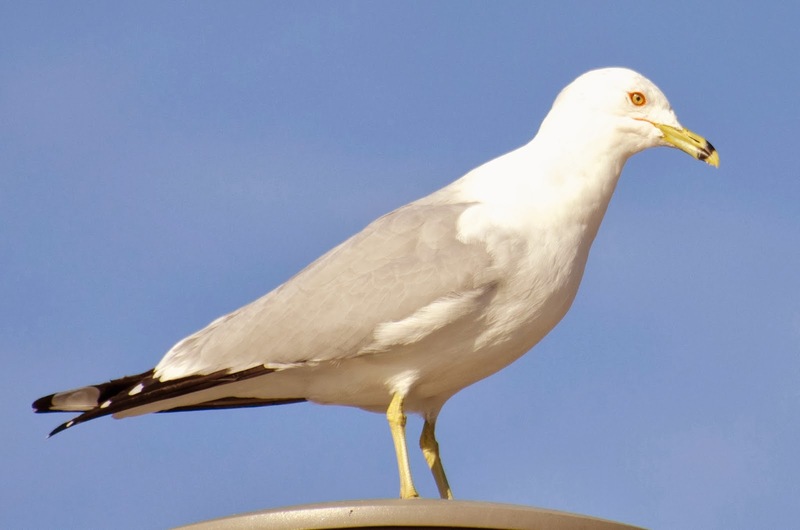 This ring-billed gull, Larus delawarensis, is in breeding plumage; the bird's head and breast are snowy white. I took the picture on the East River in Brooklyn last week. Can spring be far behind? This is an adult ring-bill in non-breeding plumage, taken a few months ago in the same place. Its head and neck are faintly streaked with grayish brown. 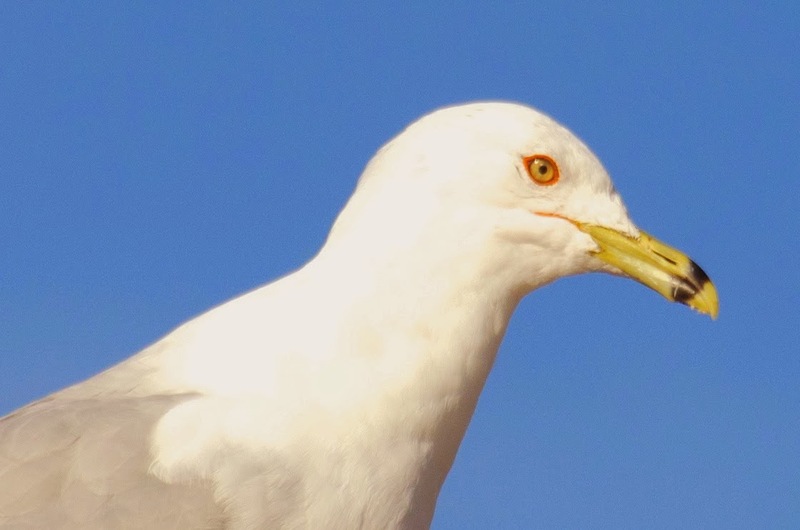 Check out the red eye ring and red at the corner of the mouth on the breeding adult. Click to enlarge.